Once again in 2019, there will be photographers at the top of Doomsday Hill and at the finish line taking photos of your heroic effort. Smile when you see our photographers. Race photos will be posted here approximately 36 hours after Bloomsday. We expect all photos to be posted by Wednesday, May 8th. Photos may be downloaded for FREE! In addition to free photos to download as noted above, this year we are once again partnering with Photoboxx to offer all our participants FREE souvenir prints directly off their Twitter and Instagram accounts. 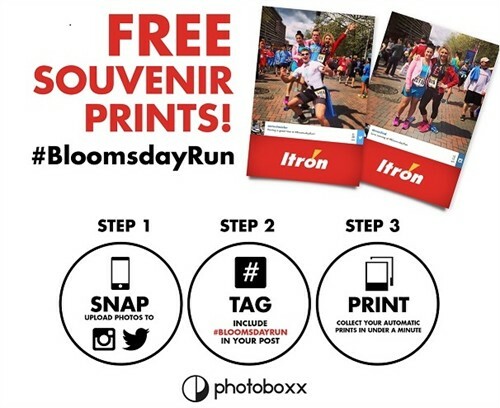 Just include #BloomsdayRun in the description of your social media posts (public social media) on Bloomsday (8:00 am until 3:00 pm) and Photoboxx will automatically print your photos in under a minute. 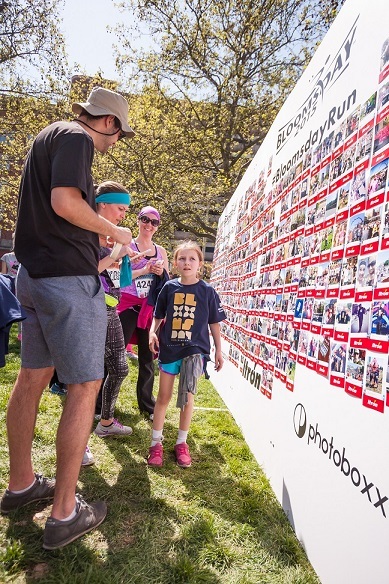 Photos can be picked up at the Photoboxx site in the post-finish area (Main & Stevens) until 3:00 pm.